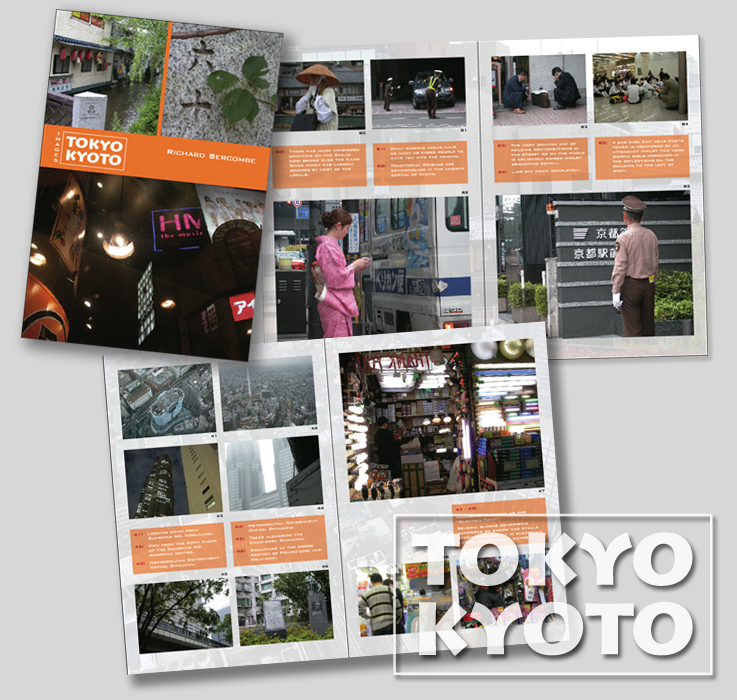 32 page A5 pocket guide containing 85 images from two of Japans most well know cities. All too often, we ignore the mundane and secret places that define a city. This pocket guide makes no attempt at providing an exhaustive reference of either Tokyo or Kyoto, but simply tries to present a realistic overview of what you might see whilst journeying between some of the many highlights listed in your guide books. Also available as a litho printed booklet whilst stocks last for £3.50 including postage and packing. Please email me with your full invoice address and contact details.